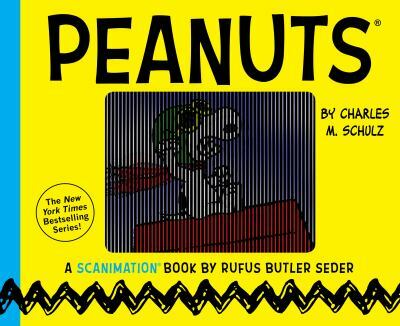 As a family, we have enjoyed the book Peanuts by Schulz A Scanimation Book By Rufus Butler Seder. This book is published by Workman Publishing in New York. We have this book in a board book format and I highly recommend it. The pictures are really cool because they move as you are moving the page. Kids love these and they are so cool and fun to read. The pages are short. It is set up as quotes from the characters. The quotes are short and fun. Some quotes are inspirational sounding and some are funny like ‘Good Grief’ all will make you smile and feel nostalgic. I highly recommend this book. It is short, so sweet, and you will not mind reading it over and over. It is very quick and you and your children will enjoy the quotes and the pictures. The pictures are just so much fun! The kids will love how they move.